Before coming for confession -- the service, regular confession times (at OLF, Fridays 4:30 - 5:30; Saturdays 3:30 - 4:30), or a private, scheduled meeting with a priest -- do an EXAMINATION OF CONSCIENCE. This is where we meet the Holy Spirit in prayer and identify our sins. These are the things we will confess. You can write them down and bring the paper with you. For your own reflection, you can tell the whole story to God. During your confession with the priest, you can just state each sin briefly. 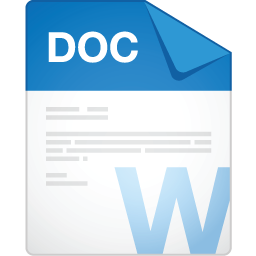 The document below can aid you in doing a thorough, prayerful examination of conscience. 1. The priest will greet you. You make the sign of the cross and say, "Bless me, Father, for I have sinned. 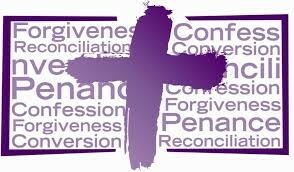 It has been ____ weeks/months/years since my last confession," OR "This is my first confession." If it's you're first confession, or if it's been a long time, or if you have little experience with confession, ask the priest to help lead you through the process. That's a fine thing to do. 2. Next you say something like, "These are my sins." And then you state the sins you've uncovered in your examination of conscience. Remember, the priest doesn't need the whole story. God knows the whole story already! State them briefly. When you're done, you can say something like, "For these and all my sins, I am sorry." 3. Now the priest may say a few words of teaching. Often this is very brief, especially if there is a line of people waiting to be heard. He will also give you a penance -- that is, something for you to do to express your desire to be reconciled to God and others. Often this is prayer. Sometimes it's a particular action. 5. Finally, the priest will pray a prayer of absolution. This is where your sins are acknowledged as forgiven by God. 6. The priest will say, "Go in peace," and you're done. 7. Complete your penance (the prayers and/or actions) as soon as possible. I pray before leaving the church. Bring a cheat-sheet. You can have notes with what you plan to confess, with your act of contrition, etc. Print this email if you want. Remember that the priest is acting in persona Christi, that is, "in the person of Christ." It is not the priest, but Jesus who forgives our sins. You can go to confession often. The church recommends about once a month and whenever we are in mortal sin. (Remember, a mortal sin is a serious matter that we know is wrong and do anyway.) We are obliged to confess at least once a year. I firmly resolve with the help of Thy grace to sin no more and to avoid the near occasion of sin. Amen. My God, I am sorry for my sins with all my heart. In choosing to do wrong and failing to do good, I have sinned against you whom I should love above all things. 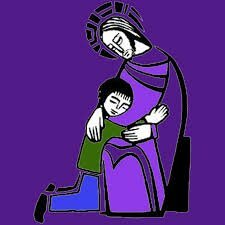 Father of mercy, like the prodigal son I return to you and say: "I have sinned against you and am no longer worthy to be called your child." Christ Jesus, Savior of the world, I pray with the repentant thief to whom you promised Paradise: "Lord, remember me in your kingdom." Holy Spirit, fountain of love, I call on you with trust: "Purify my heart, and help me to walk as a child of light." Lord Jesus, you opened the eyes of the blind, healed the sick, forgave the sinful woman, and after Peter's denial confirmed him in your love. Listen to my prayer: forgive all my sins, renew your love in my heart, help me to live in perfect unity with my fellow Christians that I may proclaim your saving power to all the world. Lord Jesus, you chose to be called the friend of sinners. By your saving death and resurrection free me from my sins. May your peace take root in my heart and bring forth a harvest of love, holiness, and truth. Lord Jesus, Son of God, have mercy on me, a sinner.